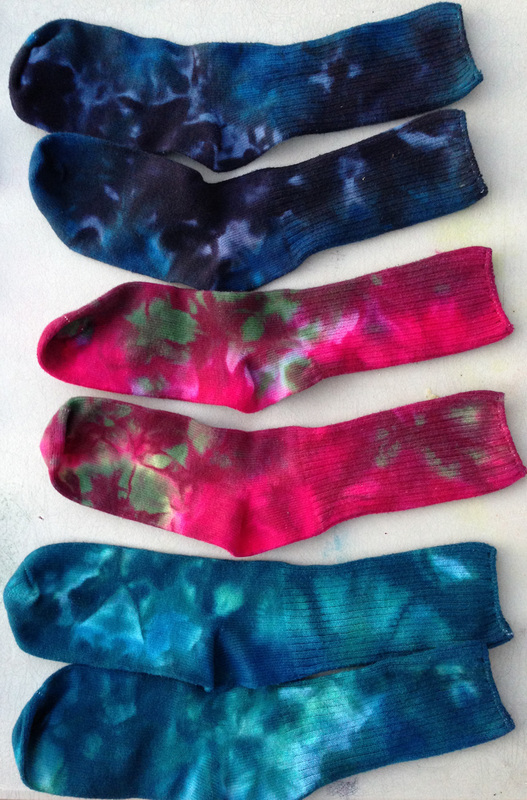 And, of course, what would a tie-dye shirt be without matching socks? In addition to all that tie-dye, I tested two discharge processes – reduction discharge using Formusol/Rongalite, the active ingredient in Jacquard discharge paste, and a thiourea dioxide immersion bath. I tested each of the two discharge processes on 22 samples covering most of the “pure” colors of Cibacron F and Procion MX fiber-reactive dyes (plus a few mixed colors). I haven’t had time to photograph and write up the results yet, but will post them in the dyeing section of my website later. Hopefully my work will help some other dyer. 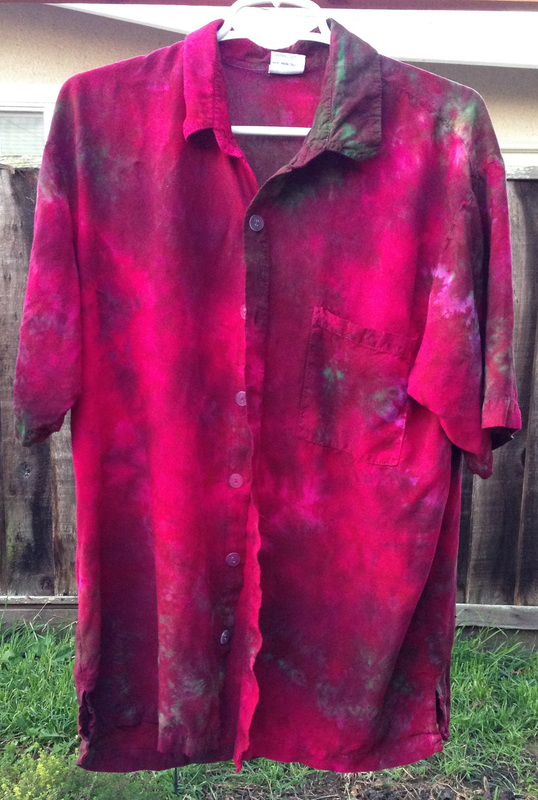 I did not, alas, manage to tie-dye the Skybox T-shirt. It turns out that the black dye used does not discharge well with either Formusol or bleach, and only discharges to an ugly medium tan with thiourea dioxide. I still have one discharge method up my sleeve (RIT color remover, aka sodium hydrosulfite), and will try that out this coming weekend. 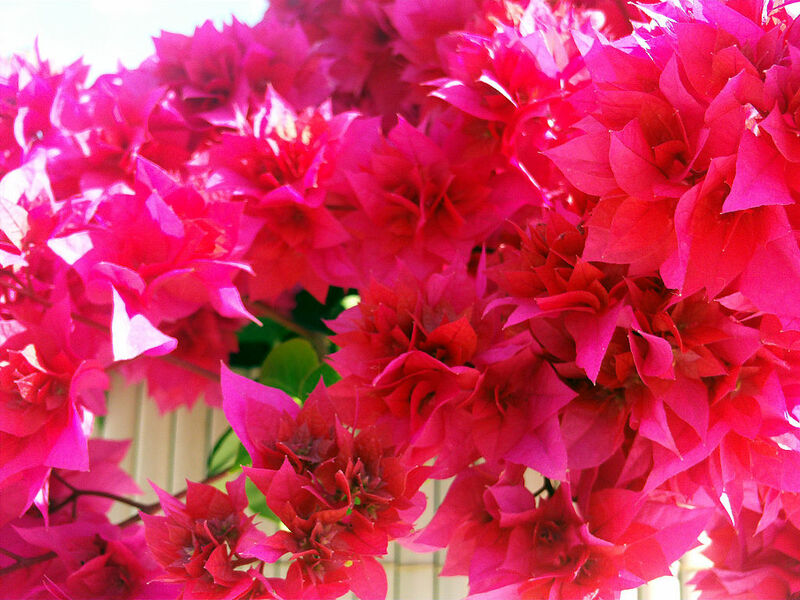 If that isn’t effective, I’ll go back to thiourea dioxide, and overdye with red afterwards- that will likely give me only a dull brick red, but that still might look good. I have three T-shirts to play with, so I’m pretty sure I can cook up something.